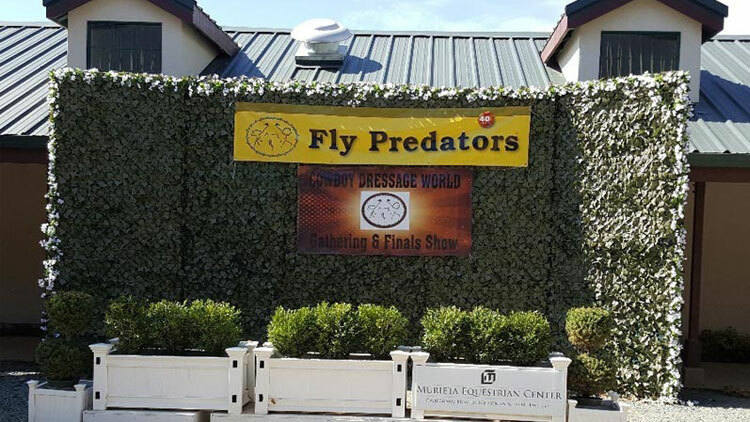 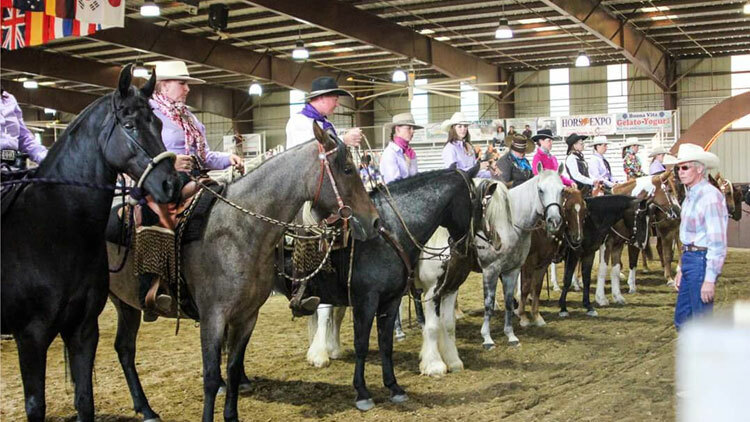 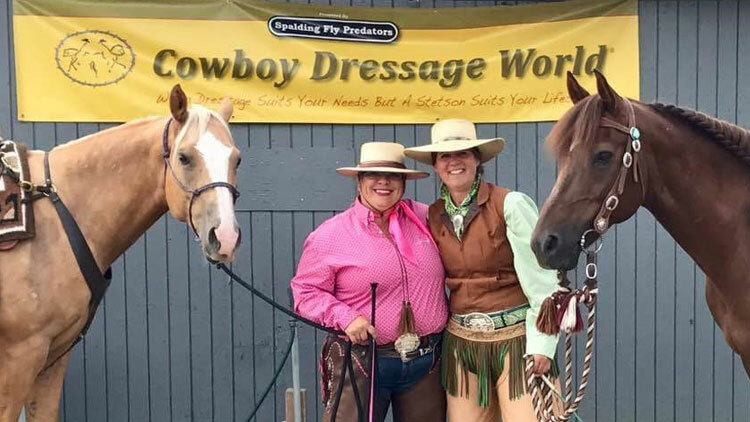 Welcome to the World of Cowboy Dressage®. 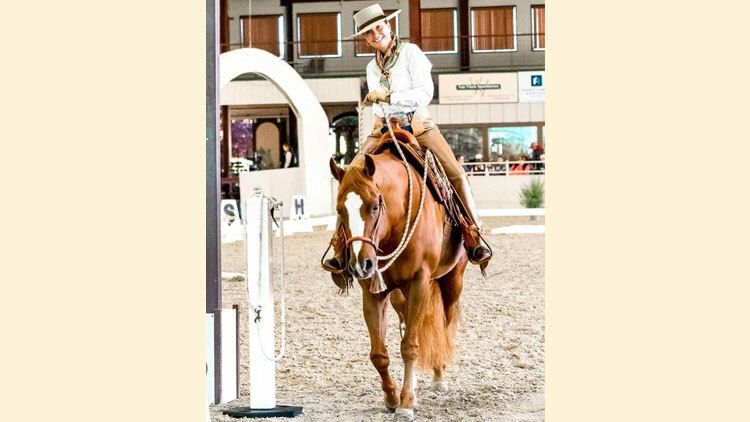 We have always felt that it takes courage to live your dreams. 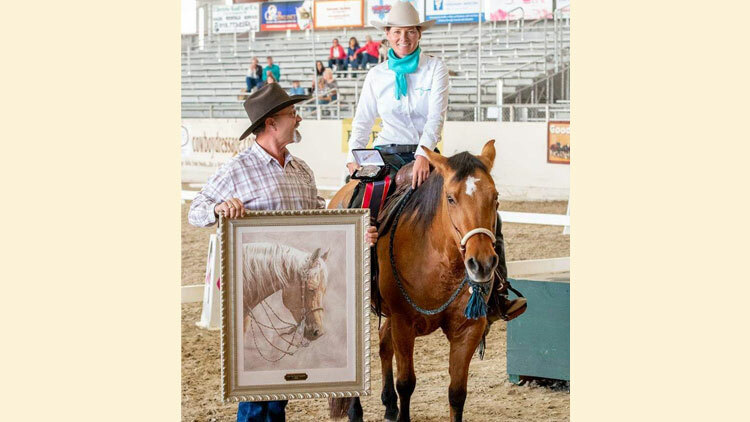 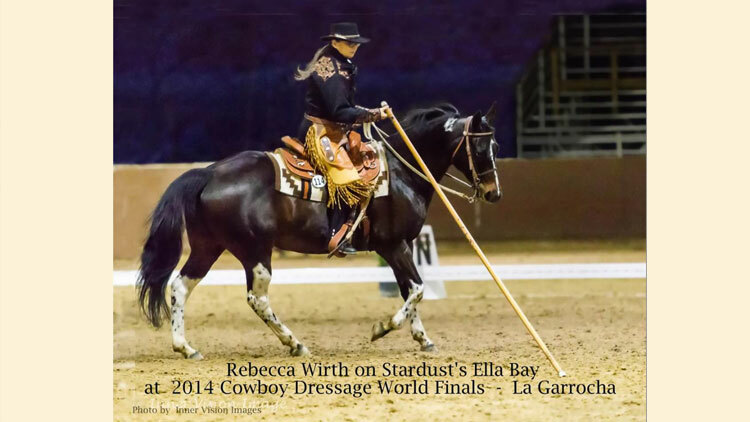 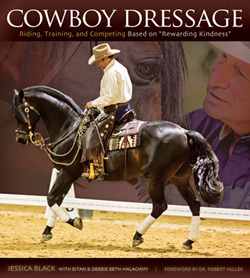 It is the goal of Cowboy Dressage World to help make your dreams a reality. 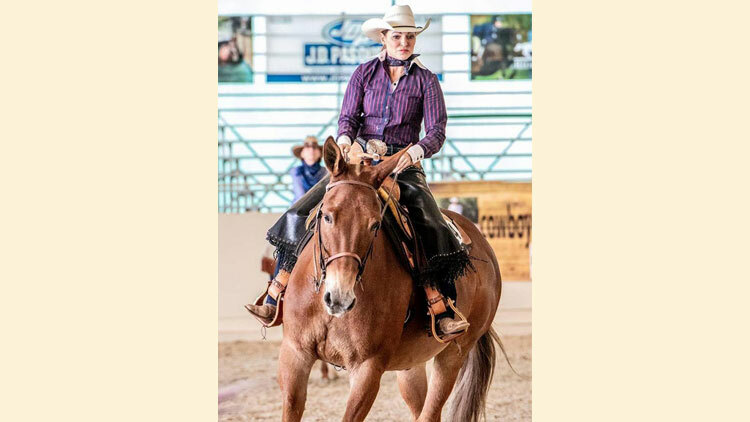 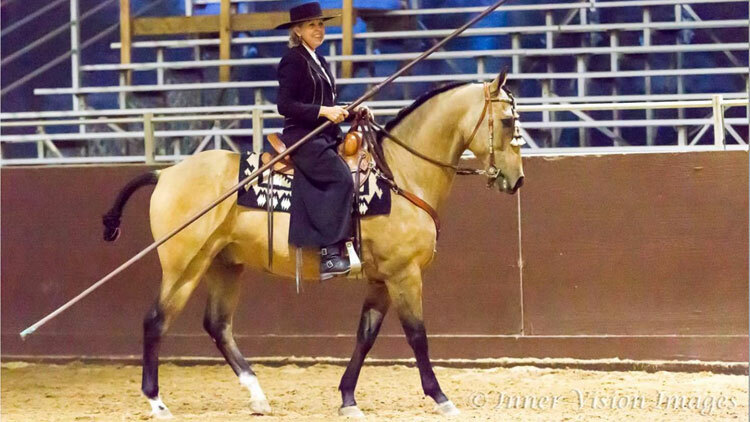 Horsemanship is an arduous journey. 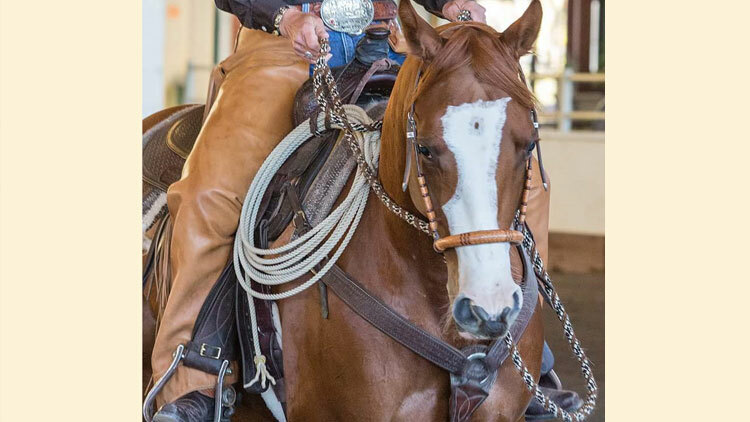 A good relationship with a horse is an endless endeavor. 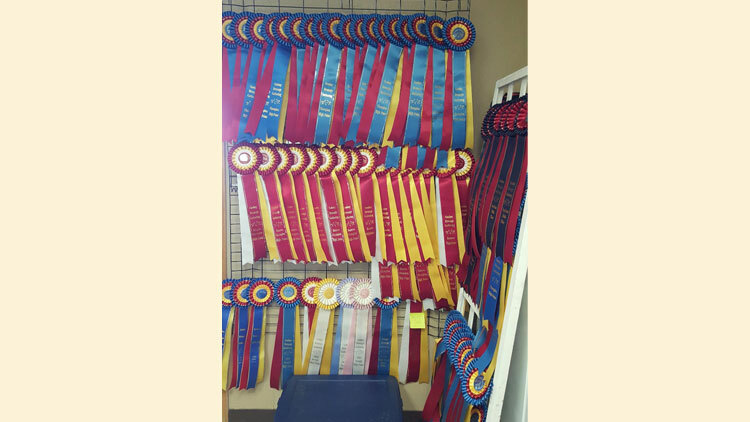 There are highs and lows, frustration and joy, disappointment and achievement. 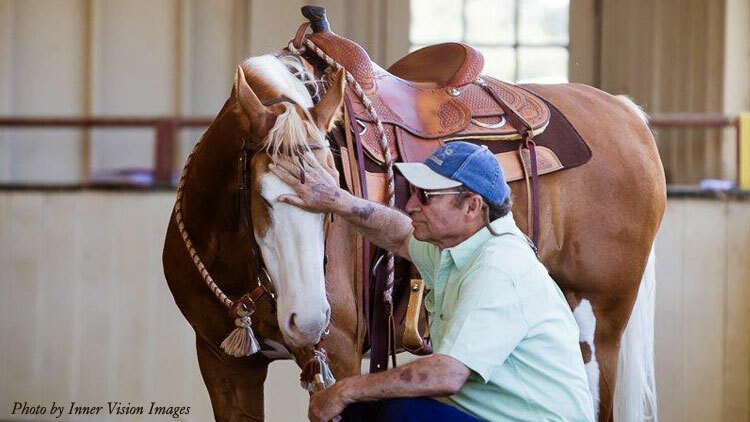 Horses can stir all our deepest emotions. 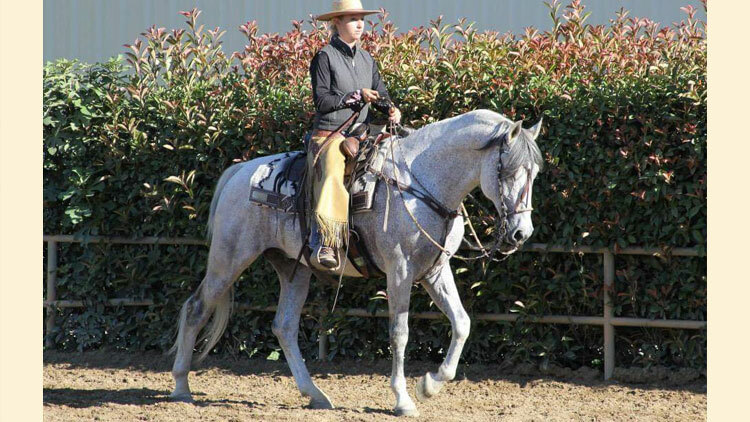 They heighten our senses and test our patience and knowledge. 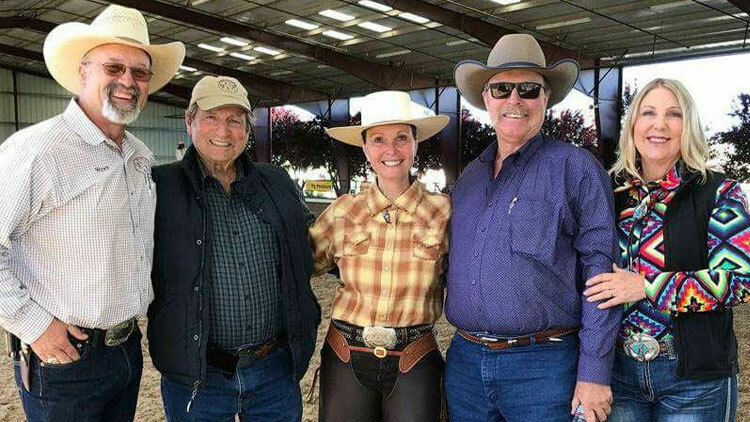 They can bring us peace and safe haven. 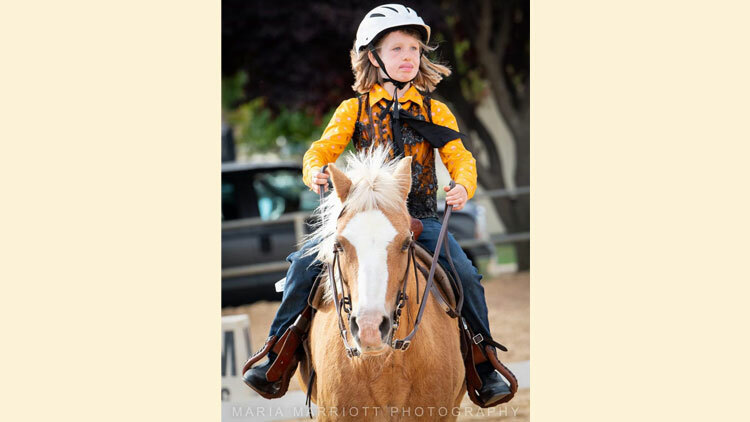 Horses call to us and for many the call penetrates to the depth of our very being. 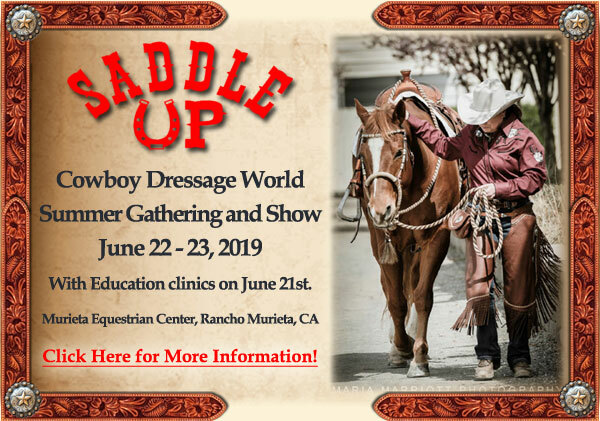 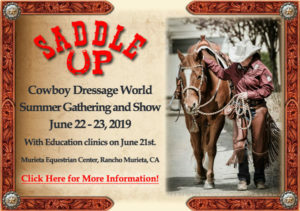 Cowboy Dressage World wants you to experience it all. 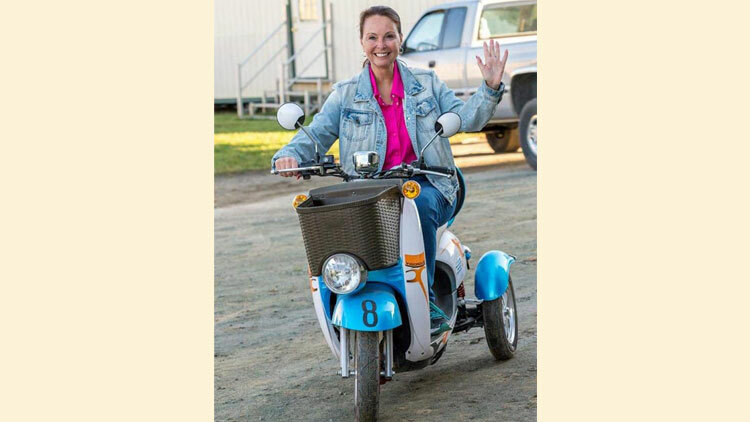 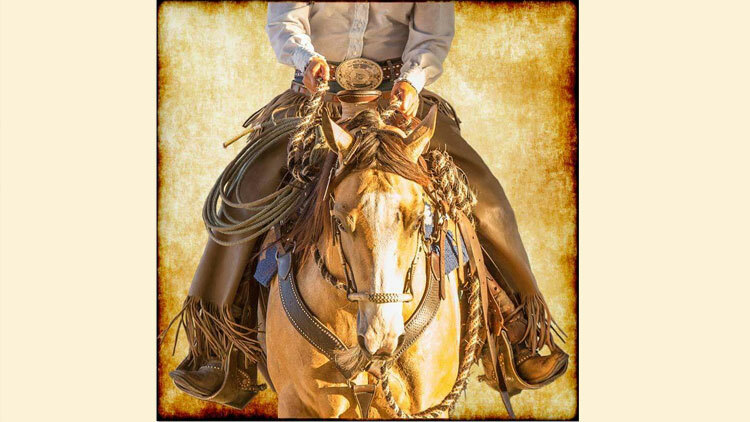 Open your heart and mind and let’s saddle up and ride! 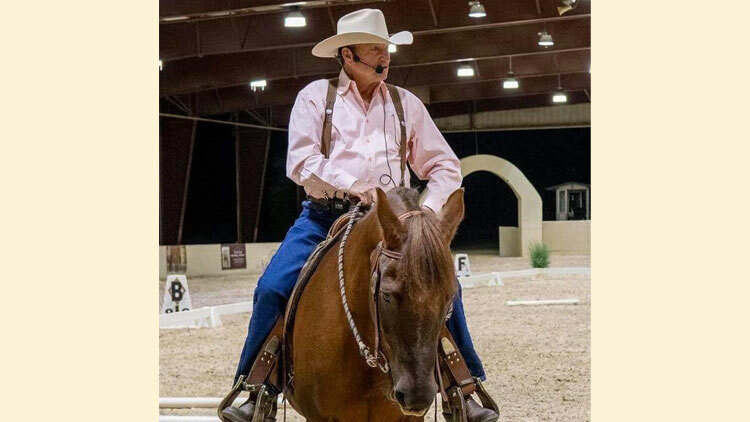 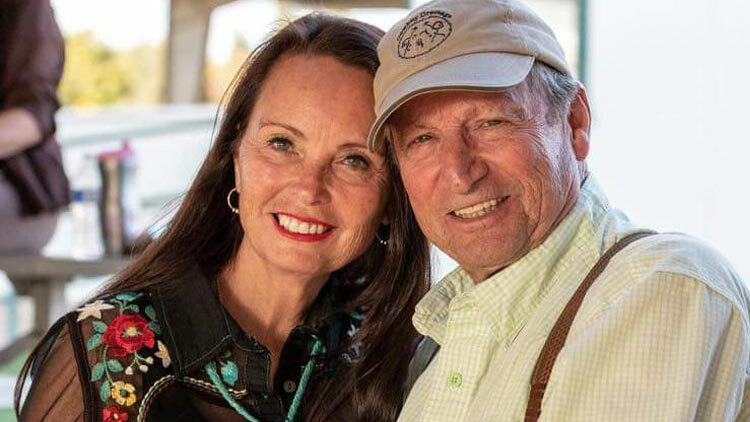 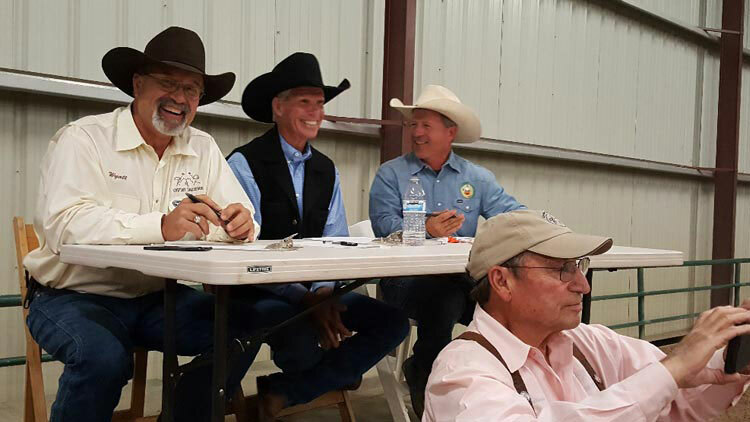 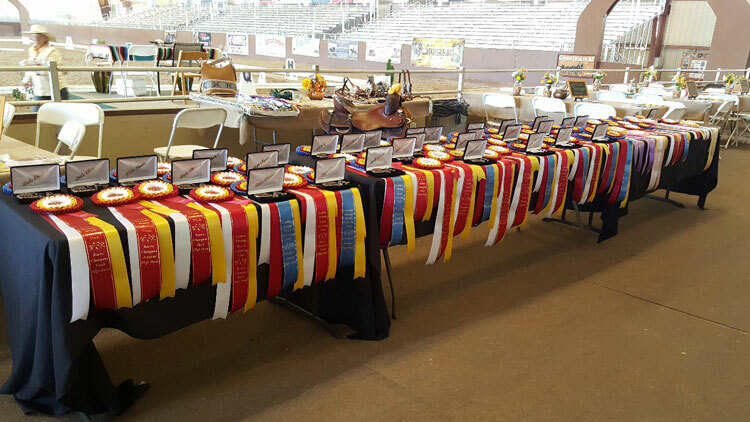 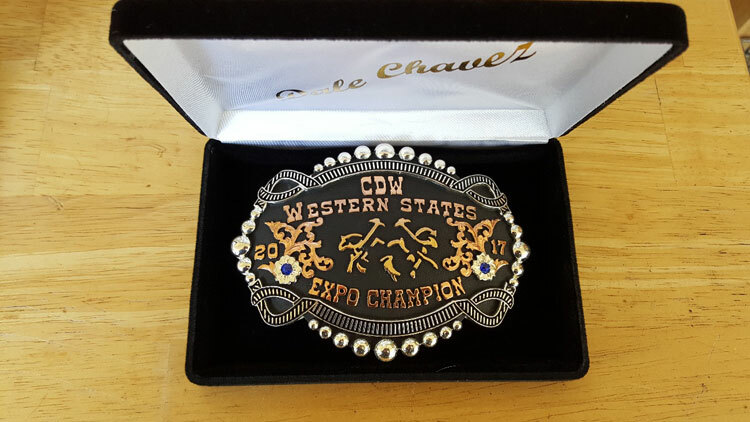 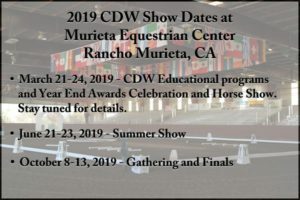 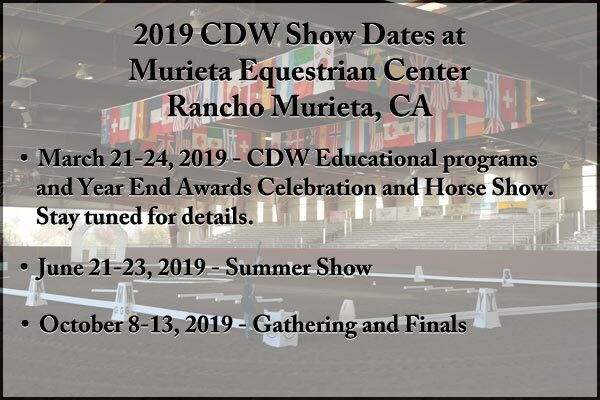 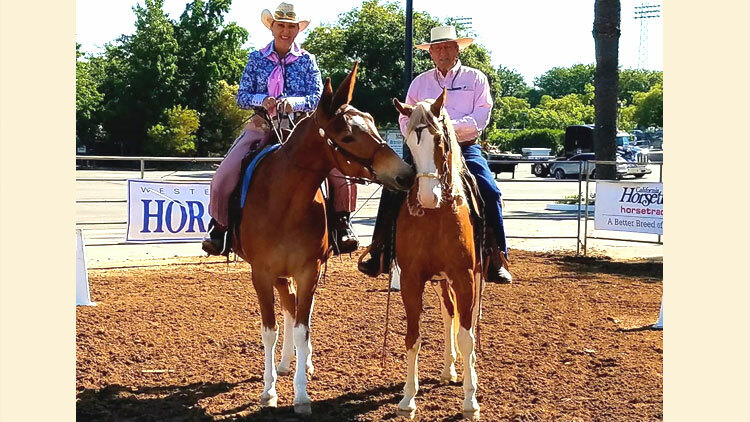 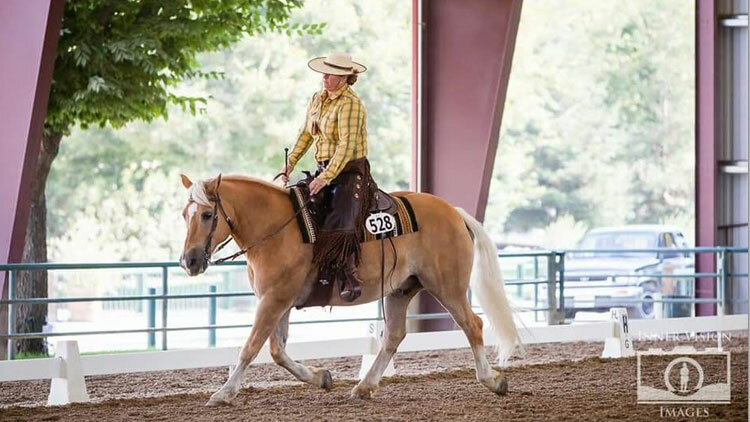 Cowboy Dressage Professionals who wish to be approved and recognized by Cowboy Dressage World must be current members in good standing with the Cowboy Dressage World Professional Association or CDWPA. 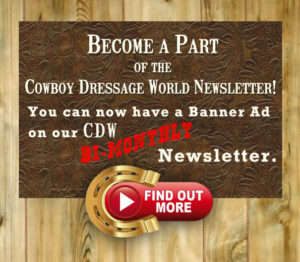 CDW will require all Cowboy Dressage professionals to be members of the CDWPA by January 1, 2017. 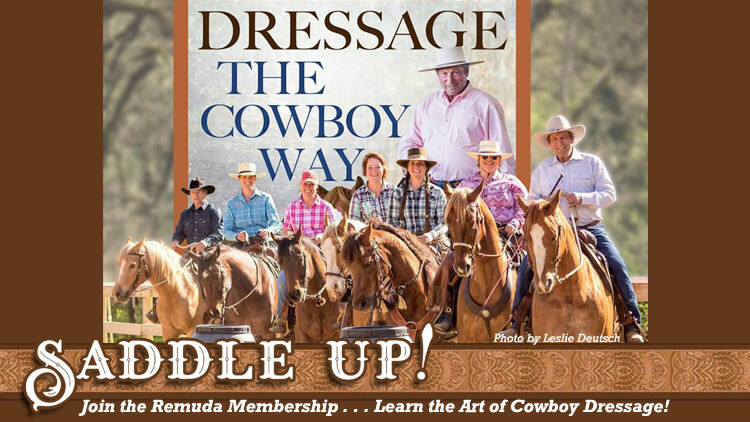 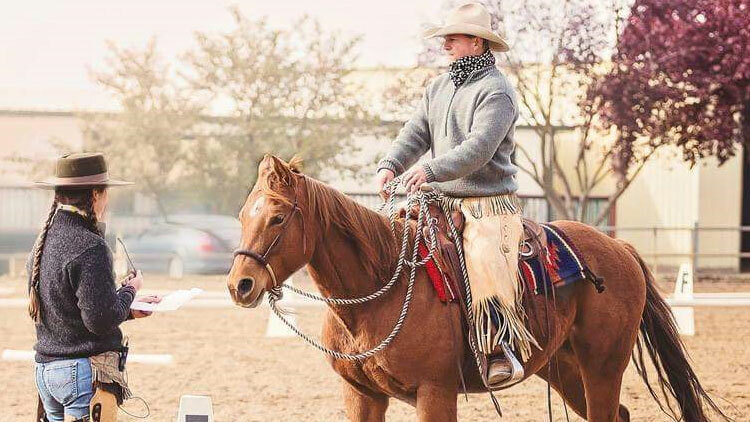 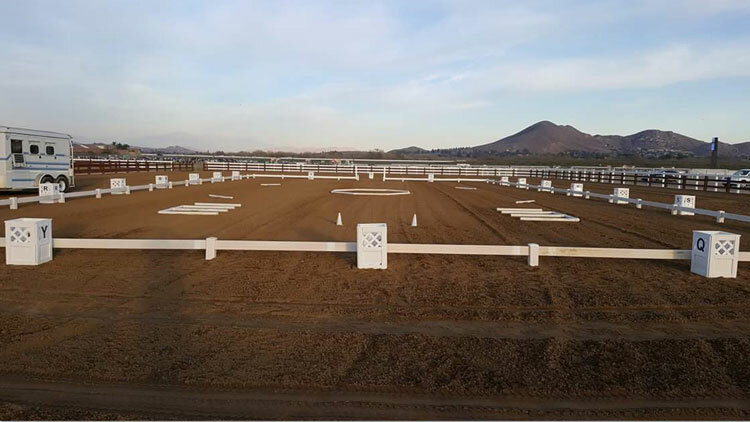 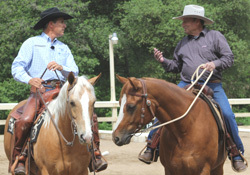 This will allow Cowboy Dressage professionals to use the term Cowboy Dressage. 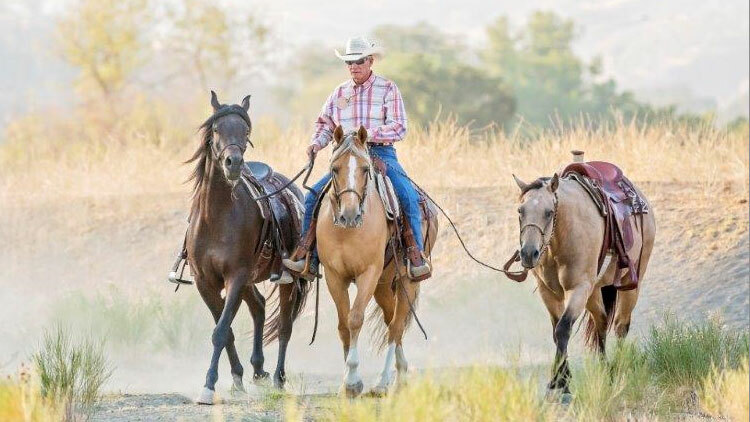 Keep your fences horse-high, pig-tight and bull-strong. 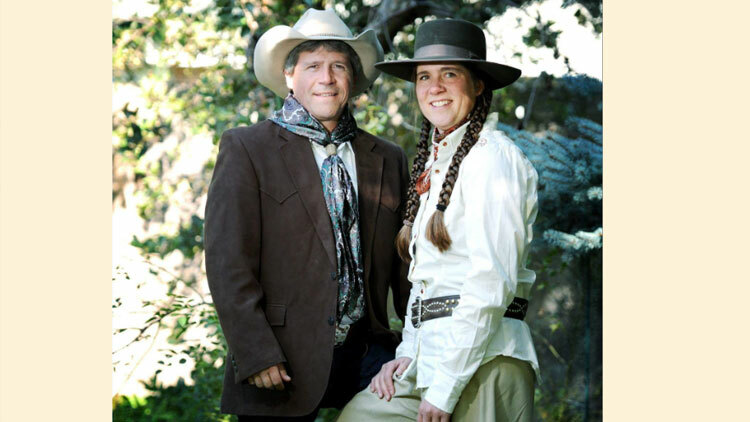 Keep skunks & bankers & lawyers at a distance. 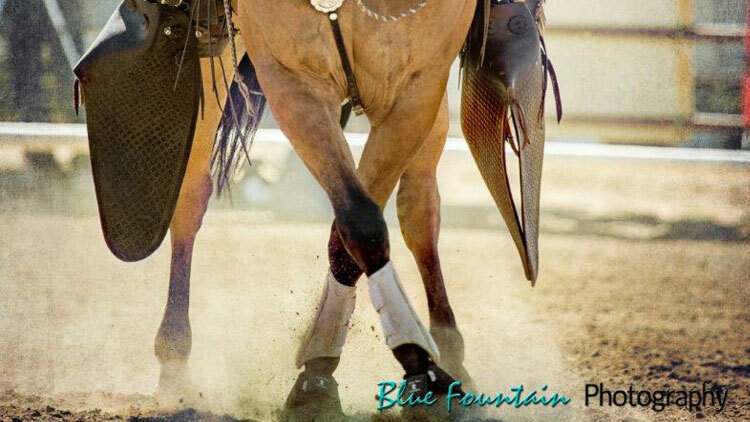 Don’t corner something that would normally run from you. 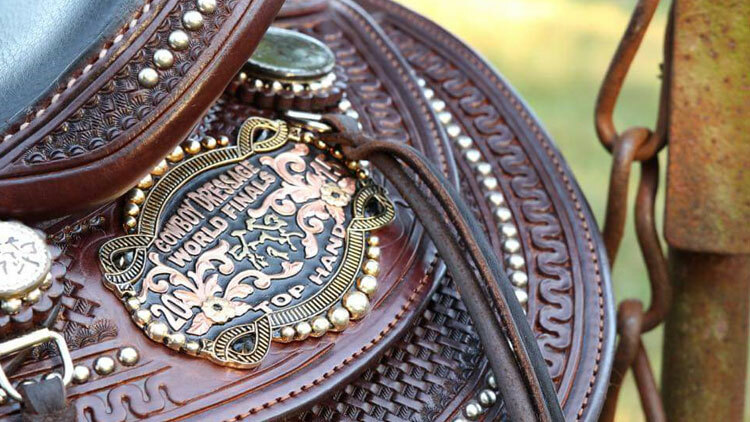 Most of the stuff people worry about is never gonna happen anyway. 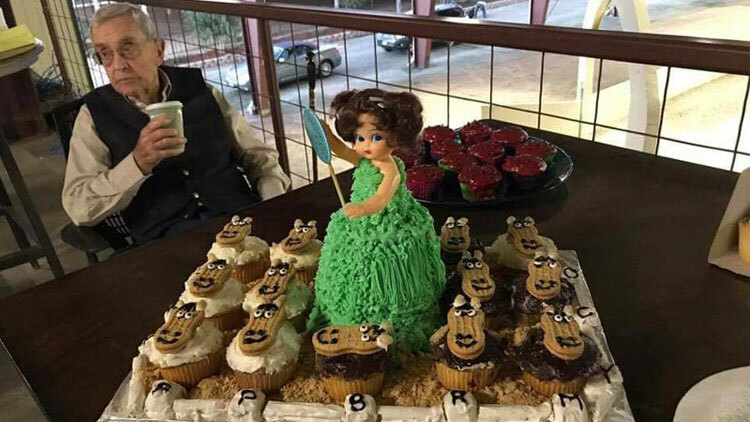 Sometimes you get, & sometimes you get got. 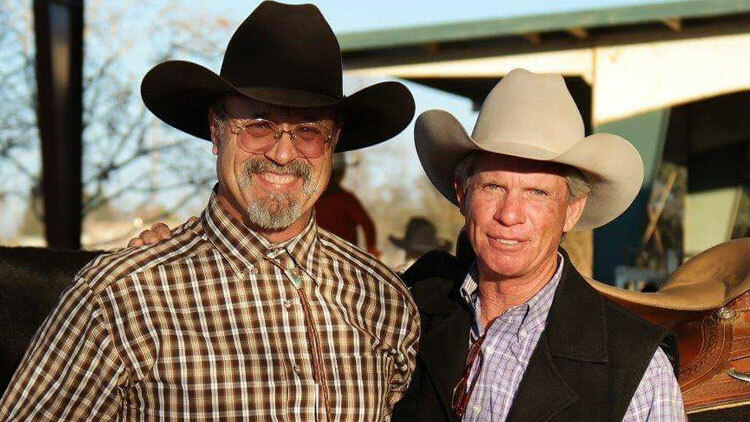 Good judgment comes from experience, & a lot of that comes from bad judgment. 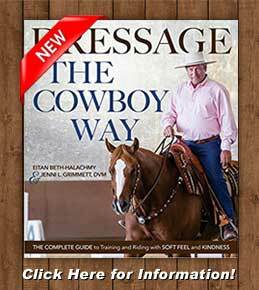 As you plan your Cowboy Dressage journey there will be times this advice will come to mind. 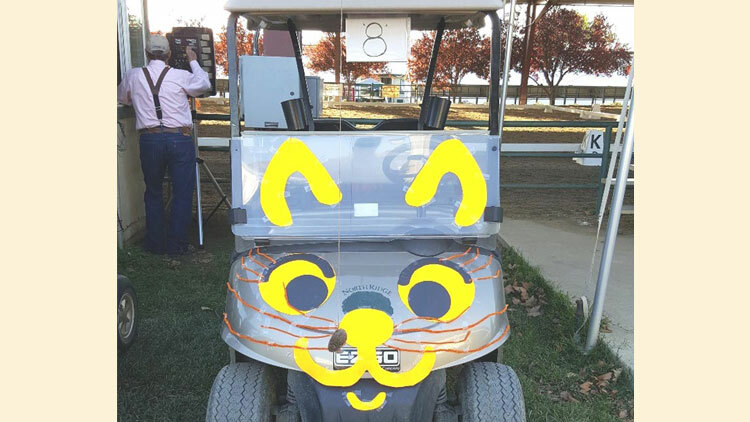 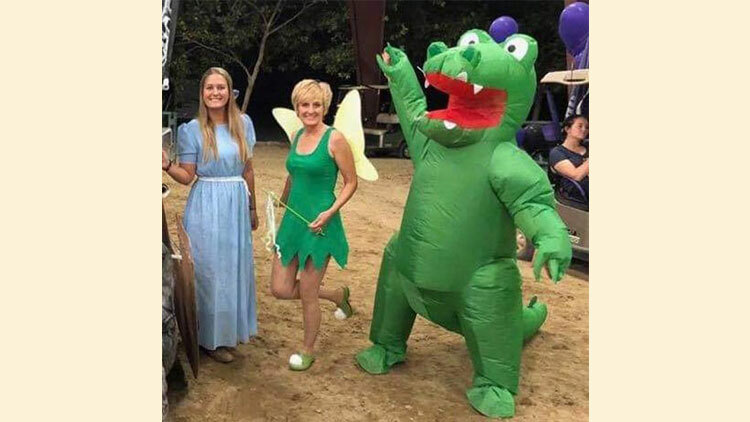 We hope it will help bring a smile to your face and a little laughter in your heart. 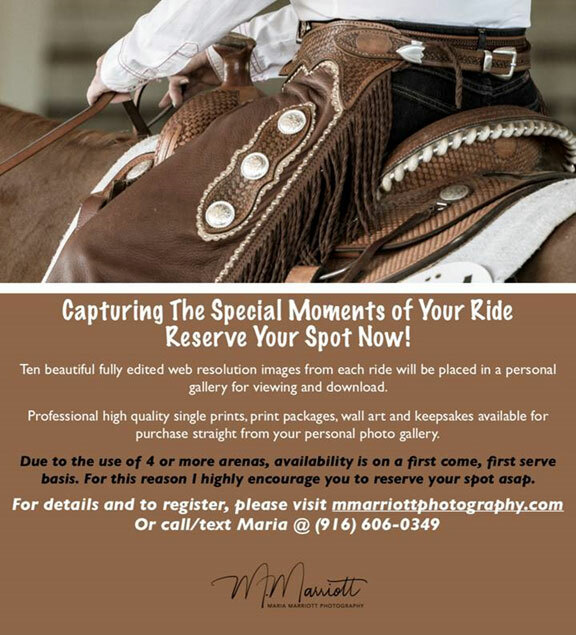 Enjoy and Saddle Up. 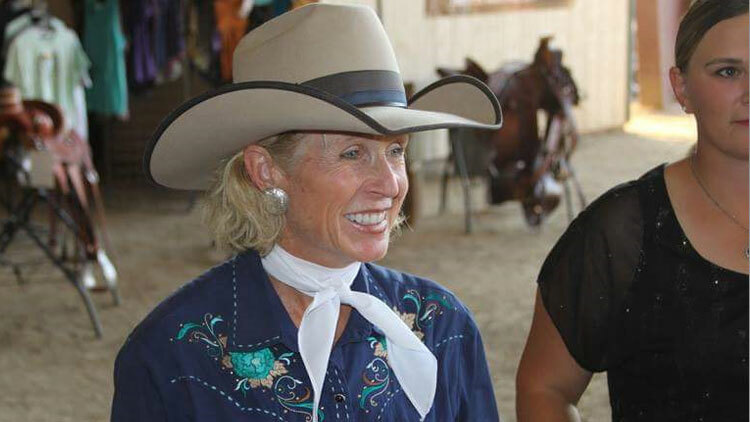 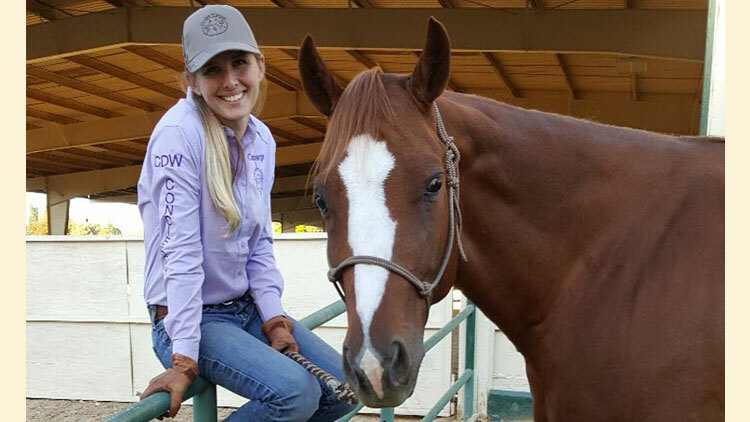 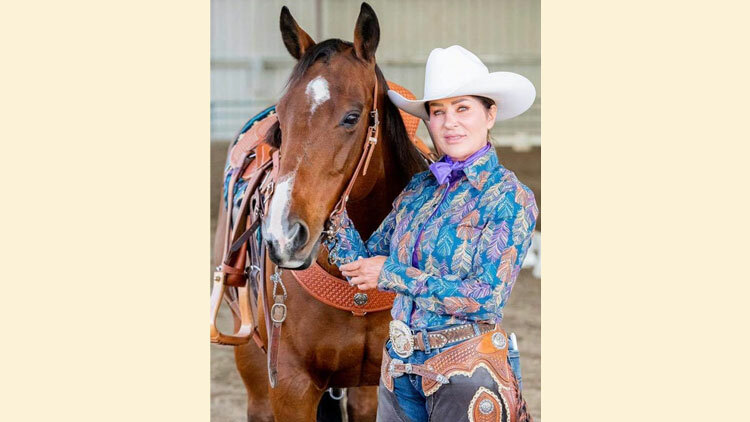 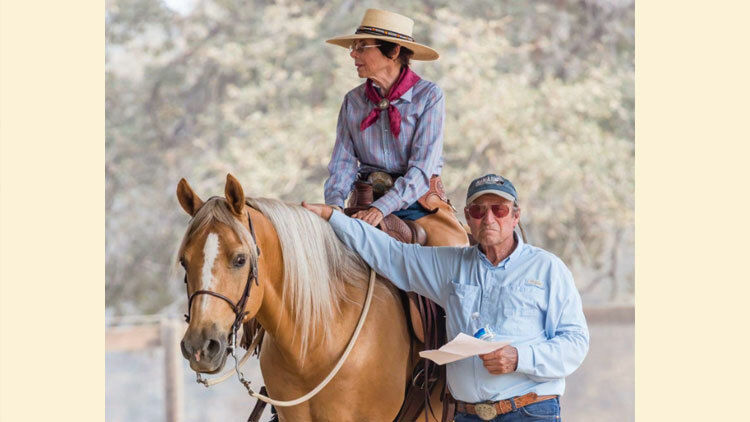 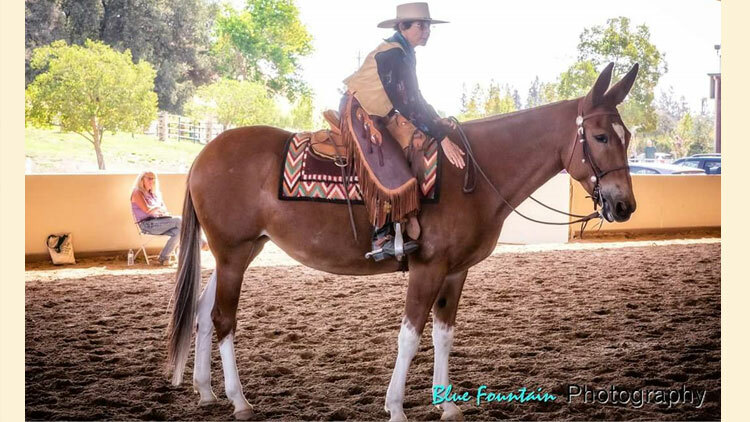 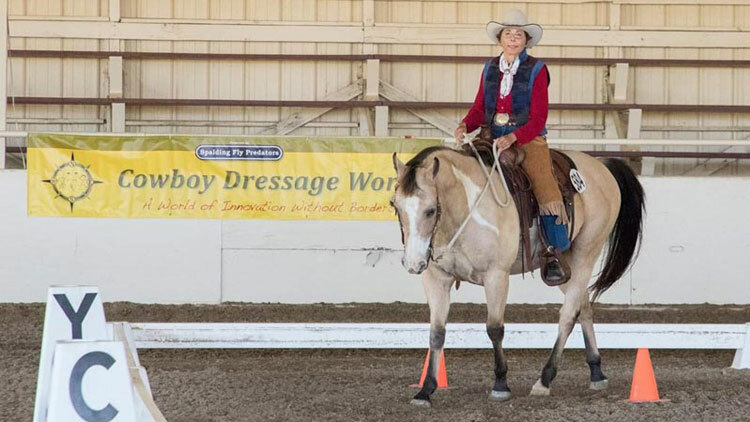 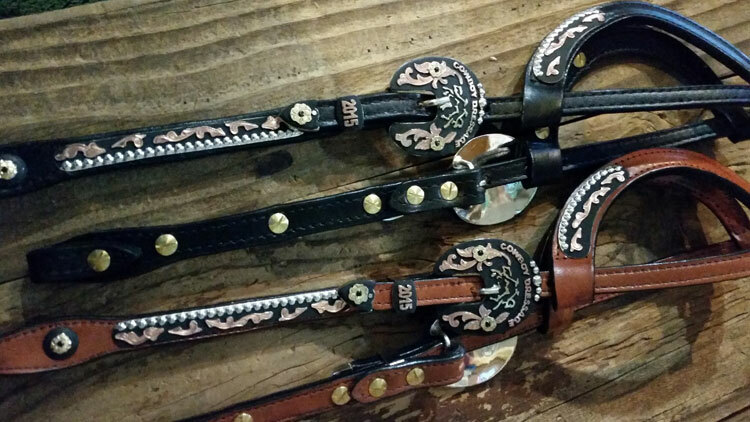 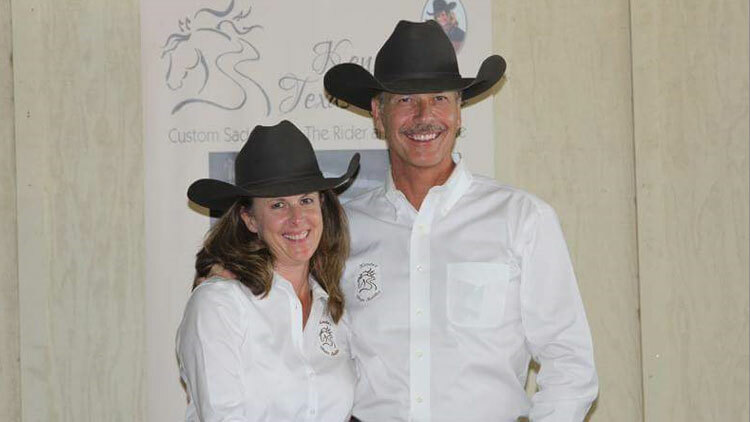 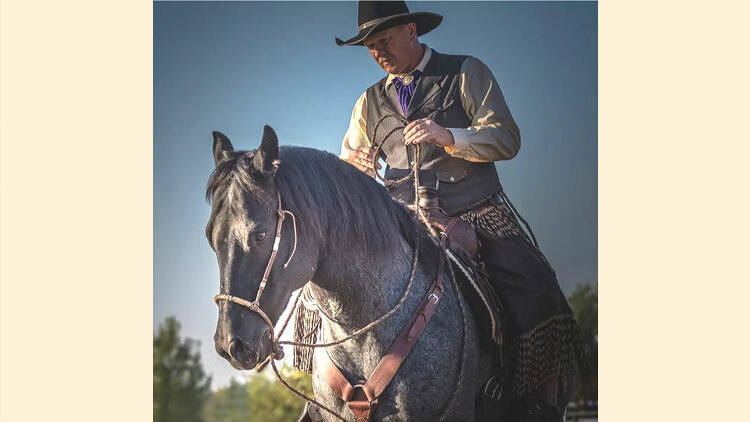 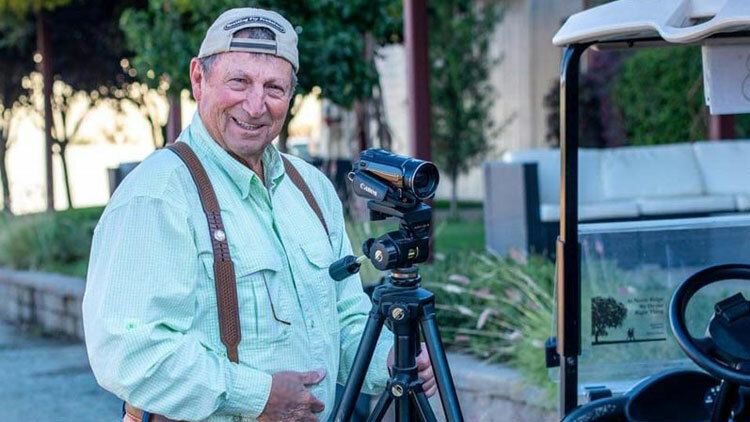 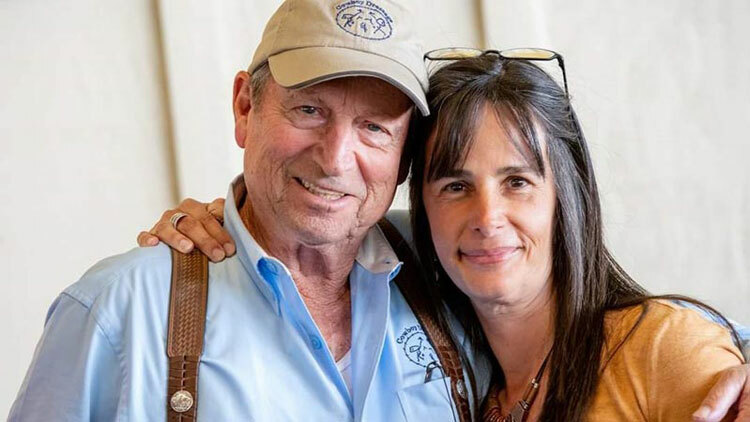 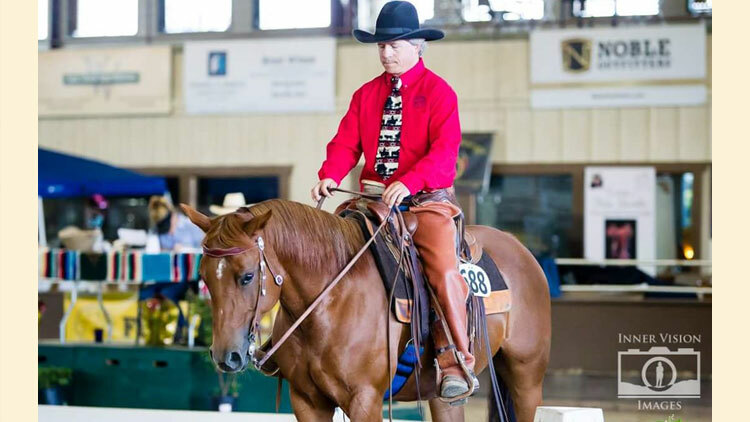 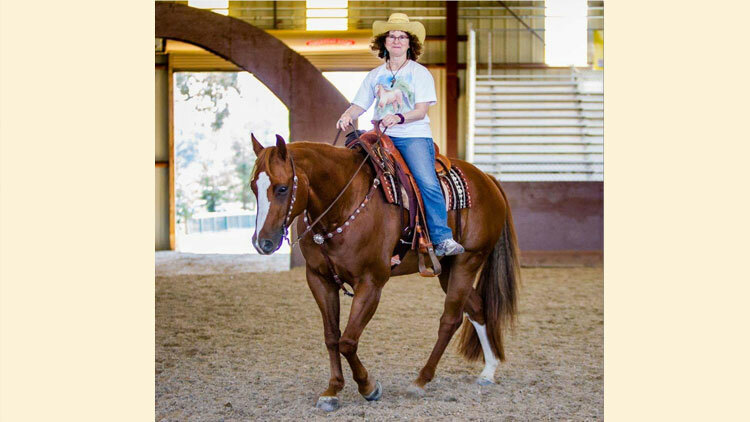 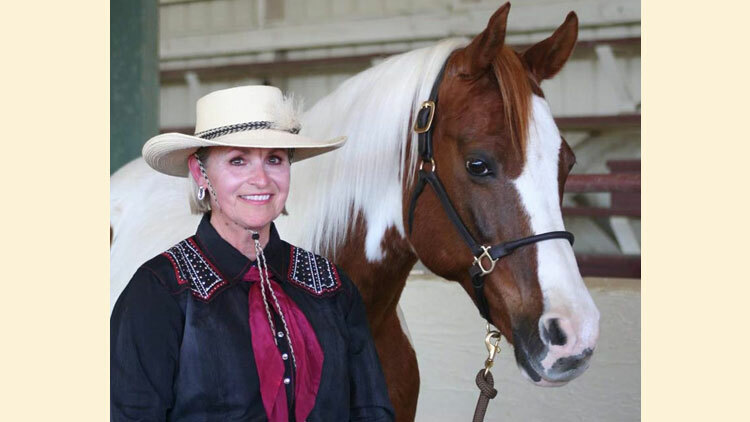 Cowboy Dressage® is owned and trademarked by Debbie and Eitan Beth-Halachmy. 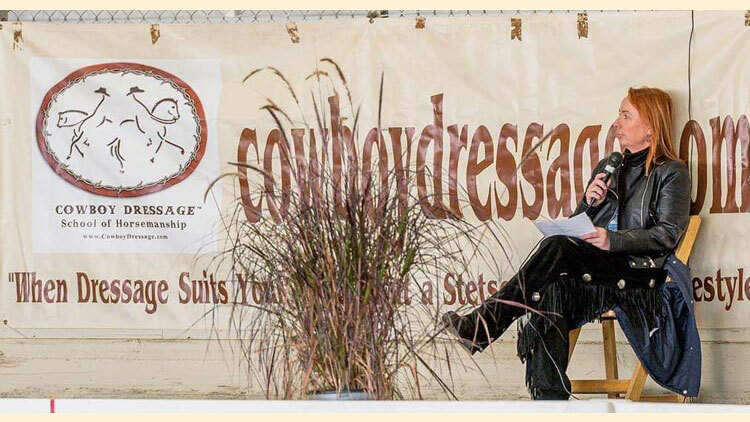 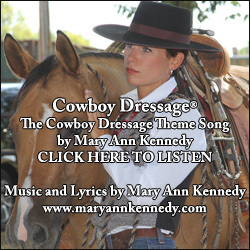 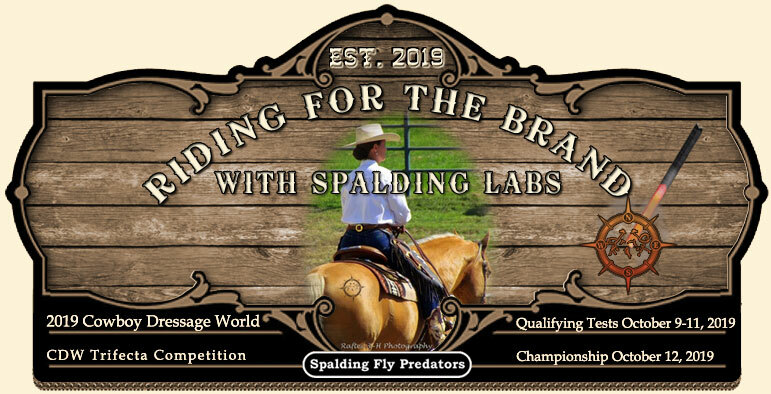 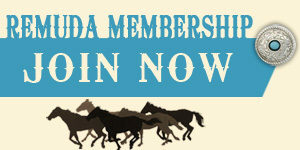 It was founded in 1994 and is a separate business from Cowboy Dressage® World. 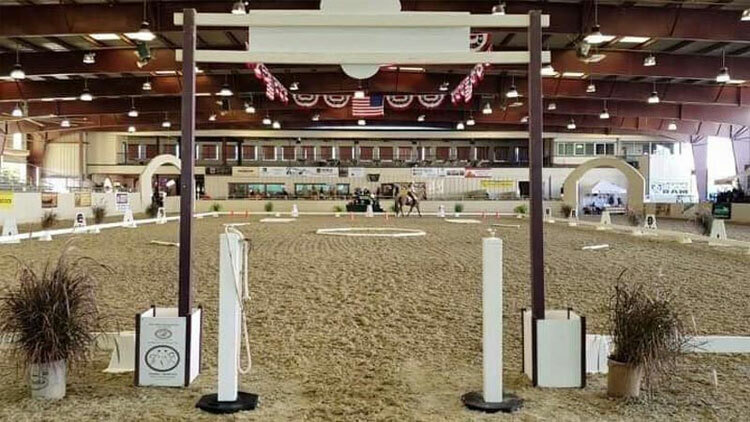 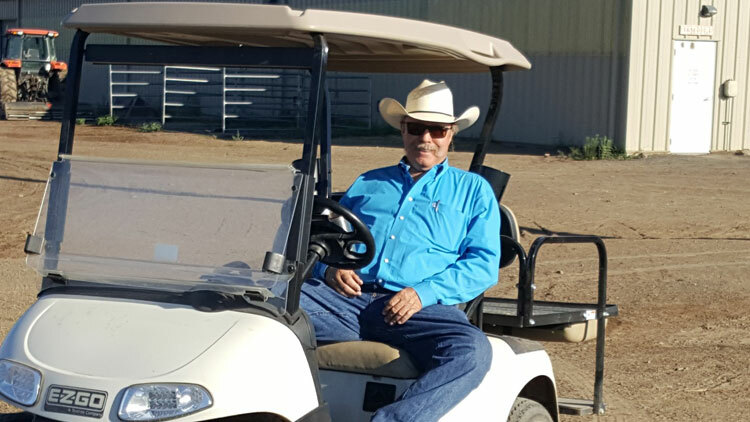 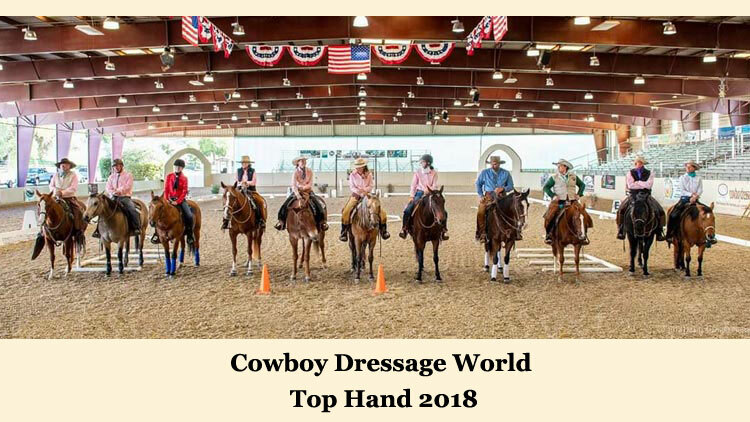 Cowboy Dressage® World, LLC is a business that manages the infrastructure of Cowboy Dressage® . 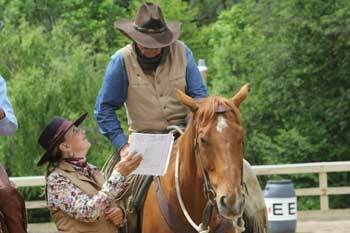 They are the ones who as a group write the rules, tests and general criteria. 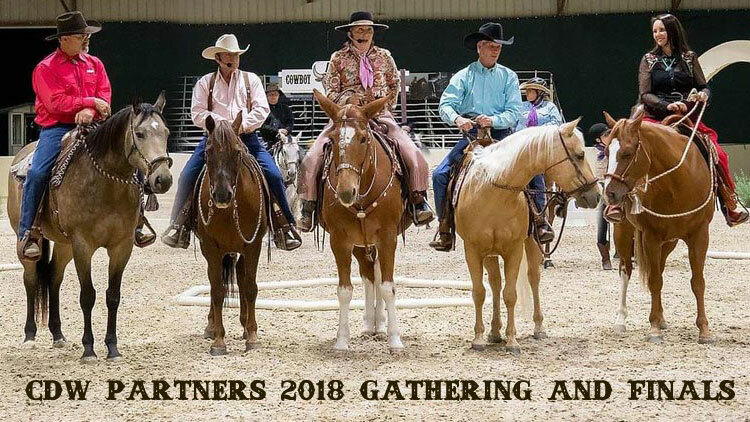 They manage the judging school and horse shows. 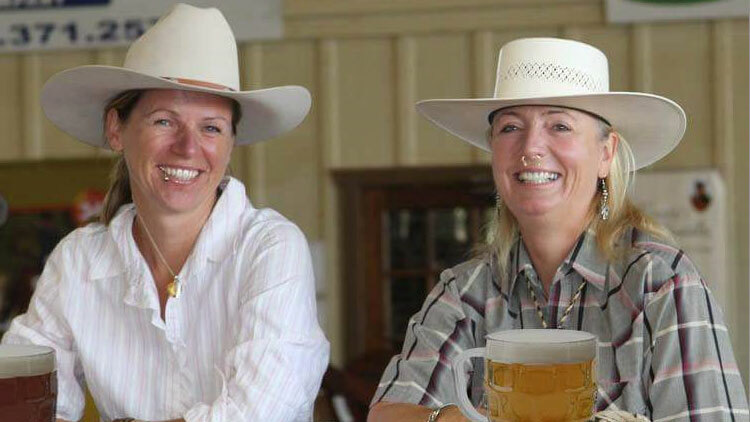 Their job is huge and daunting. 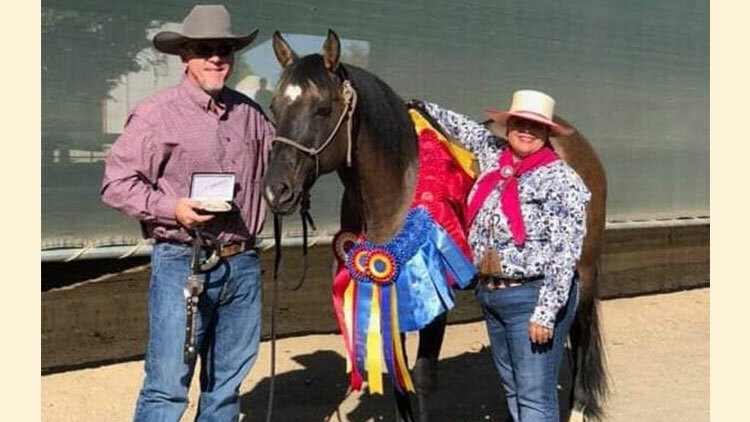 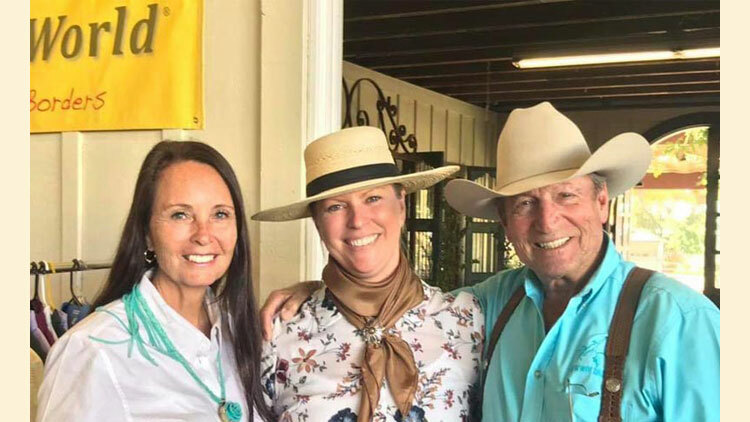 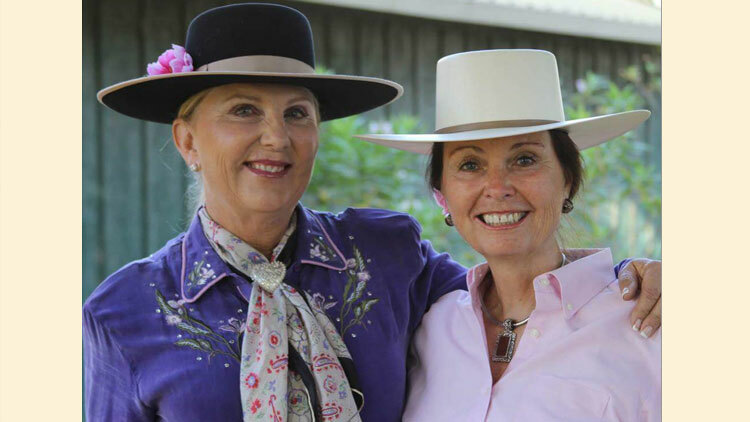 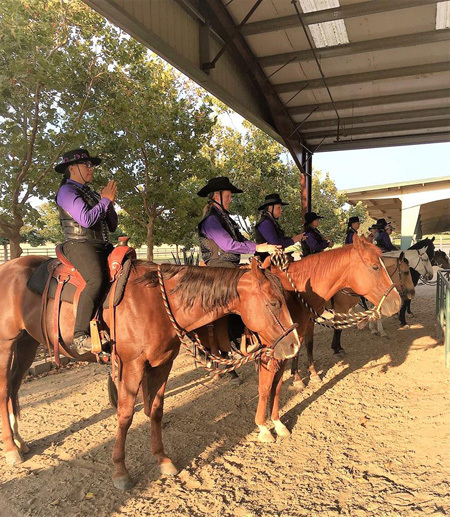 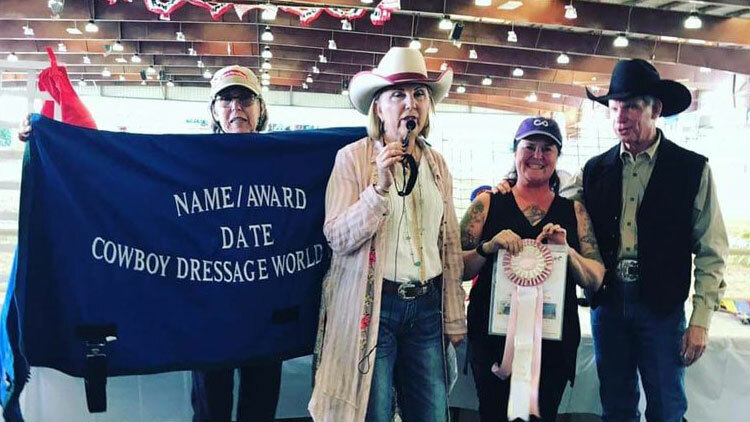 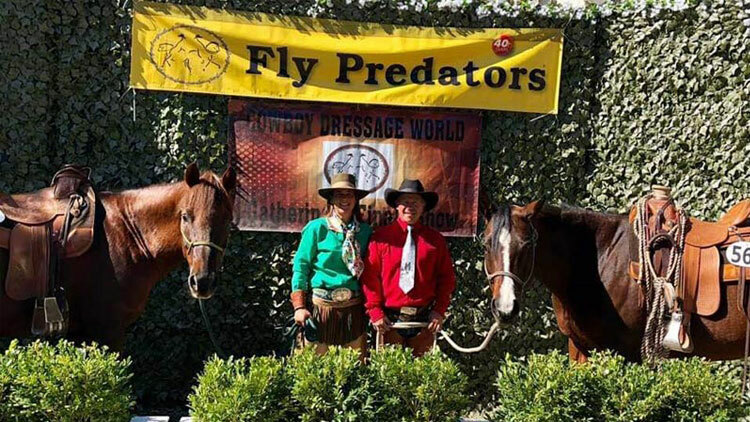 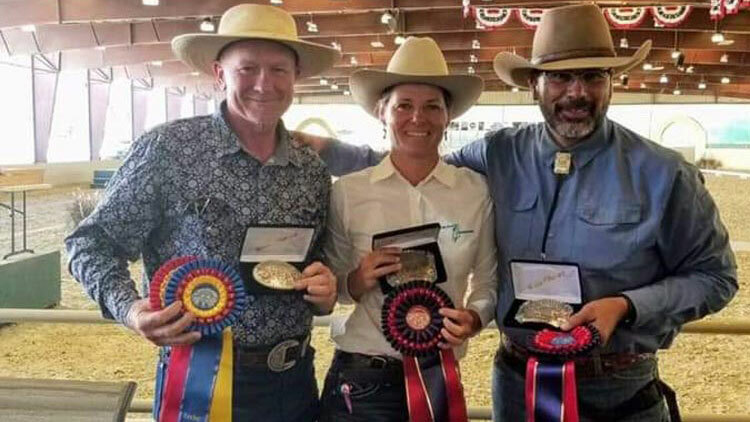 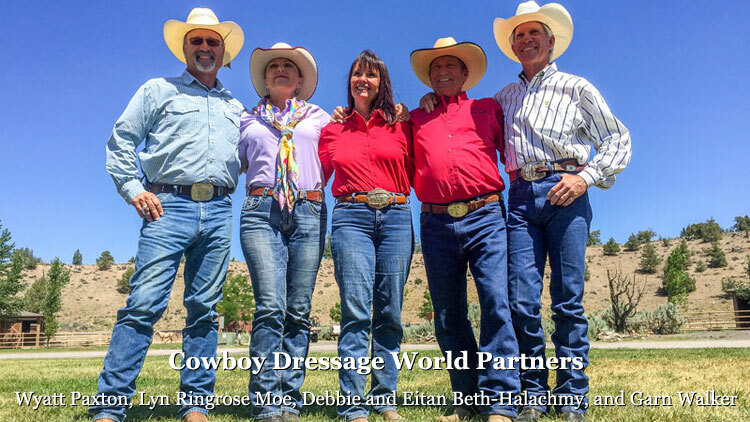 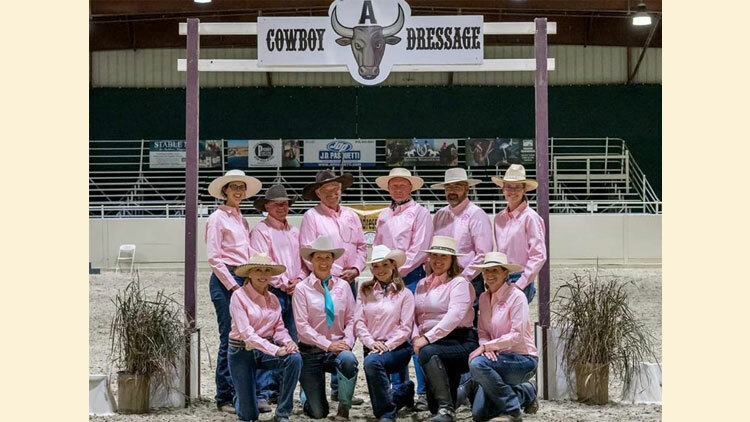 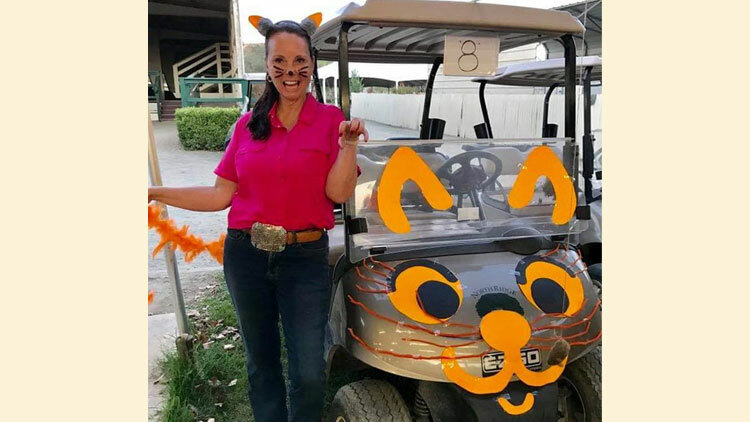 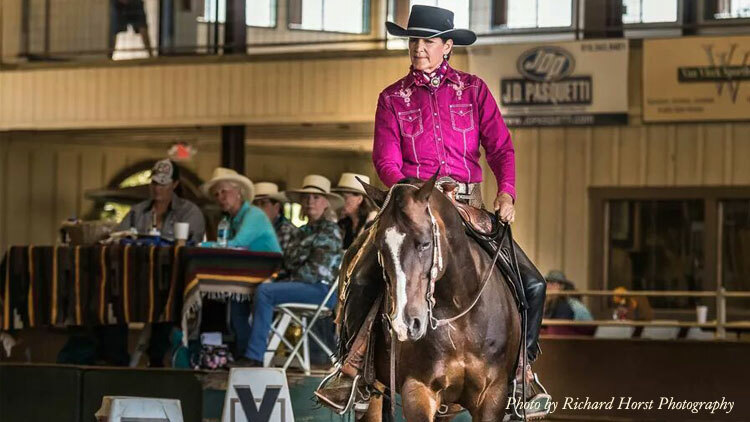 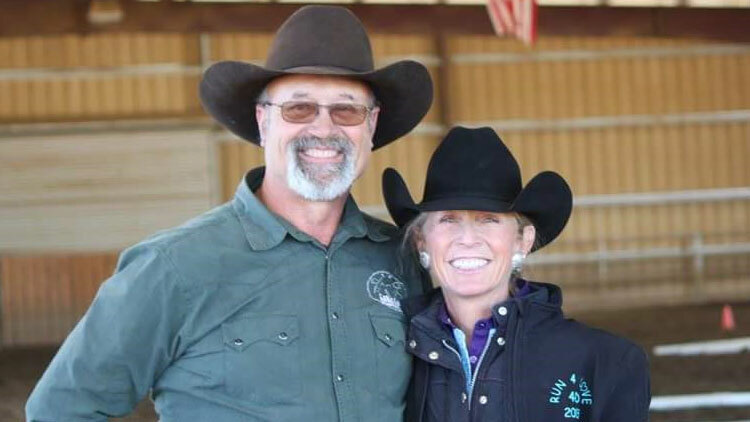 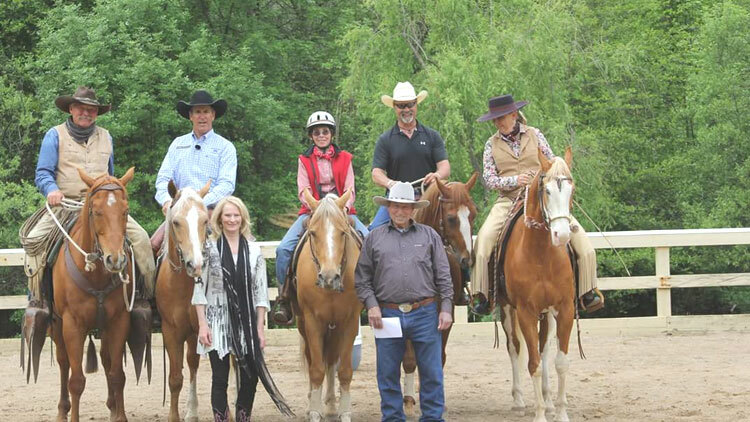 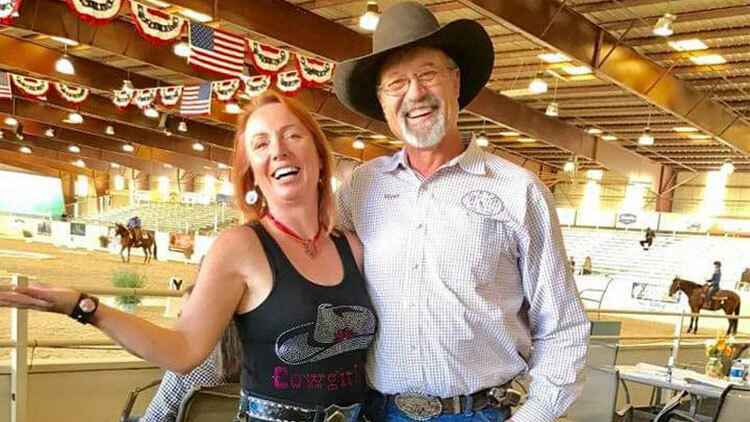 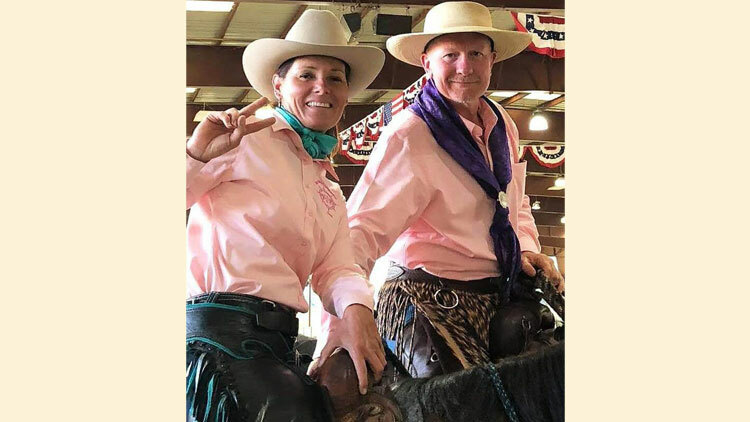 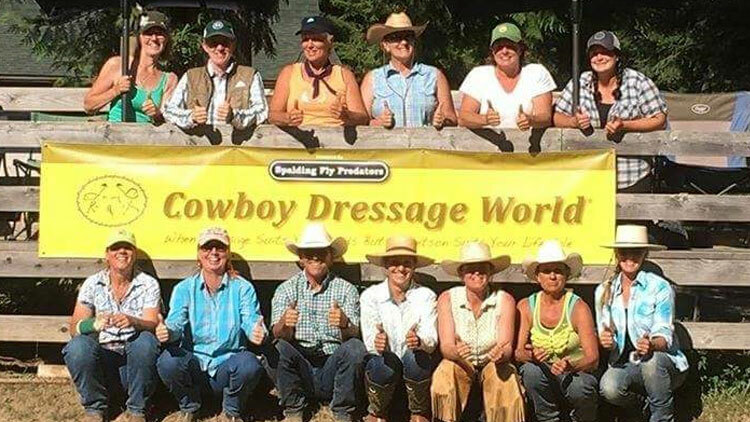 This is tight knit group who are dedicated to each other and all who support Cowboy Dressage® Cowboy Dressage® World makes Cowboy Dressage® happen!